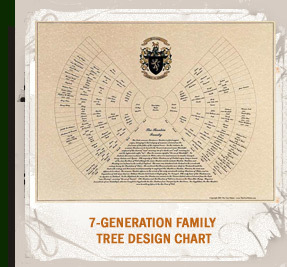 The Tree Maker creates coat of arms and crest for genealogy charts of several types including a "Blank Family Tree Charts" page. You can send us your family names by using our free and easy to use on-line Tree Builder Form to send us your family names. 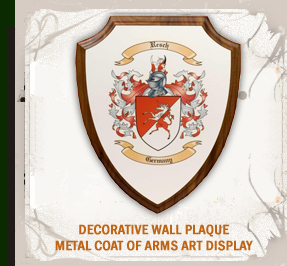 Using records on family crest and coat of arms that were found in many locations, we can create elegant and accurate blazon of arms. These locations may include many of the following: ancient records and writings, government documents on family crest / coat of arms and clan badges issued in a country, history books on surnames, pictures, history charts and other documents on ancient heraldry found in public and private libraries across Europe and other countries, from all over the world. Some of the main countries are: Scotland, England, Ireland, Wales, Germany, France, Spain, Italy, and many other areas that important in heraldry and the historic beginning behind each surname origin. 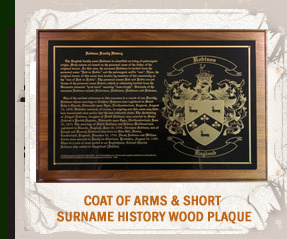 The research team strives at finding the most accurate Blazon of Arms for each surname along with some information on the last name meaning and surname origin. 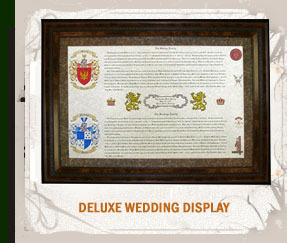 There may be more than one family coat of arms or crest for your last name, so genealogy research is important.